Gerrard has over 10 years experience as a professional actor, singer and dancer. His first TV commercial was at the age of 9 years of age. He's performed on Cruise Ships, TV, Feature film, Musical Pantomimes and Print Campaigns. In 2018, he just finished shooting: a TV commercial in Greece where he is featured as the hero role for Stoiximan. Other recent work includes: TV commercials for Hovis and Vimto. Mamma Mia 2 trailer in USA as a dancer. Switzerland TV commercial, where he plays the hero role of 'Husband' for Cashgate. A TV commercial for TUI (Thompson Holidays), print and online media campaign for Healthspan. 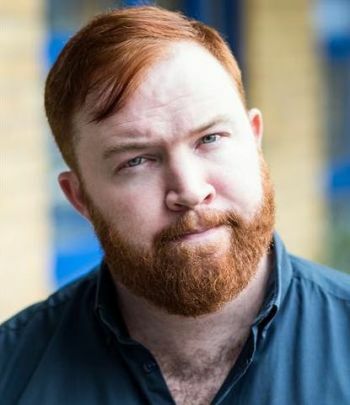 Fosters (online), TV commercials for SEAT and for J'accede, Money Supermarket commercials as a 'Builder' and in the Feature Film 'The Legend of Ben Hall', where he plays the role of 'Constable Samuel Nelson'. In Gerrard's spare time he is choreographing for events and Performing in London. Presenter work includes: Bunnings Warehouse DIY Corporate DVD, Unseen TV as 'What's Hot' Host and acted in music videos. Gerrard won an Acting Scholarship for The Australian Acting Academy at 16 years of age, studied Performing Arts 2009 -2010, Majoring in Vocal and a half scholarship awarded for Performing Arts Major at ED5 International under the direction of William A Forsythe.